With the coming impact of Brexit to my home of the Netherlands, I am working with companies to understand how it may effect them – no deal, soft Brexit, hard Brexit. And as the days tick by, the likelihood of a “No Deal “increases. 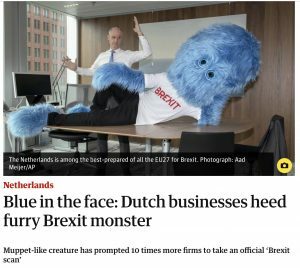 The Dutch government has ramped up preparations and worked with the Dutch business community to increase awareness, including the Blue Brexit Monster campaign — companies are using the online tool to check their readiness in 7 areas. Most of my clients are UK-based and their government is not keeping them as much in the loop – but the same 7 areas of readiness are application to them as well. SME’s will be disproportionately effected by Brexit. The large multi-nationals will be able to adjust much more quickly to changes as they do a large share of their business ex-EU, but many SME’s have never sold outside the EU and once the customs barriers are in place, they will lack the experience, knowledge and resources to keep trading with countries that were never an issue. If you have not done a readiness check, please let me know and I can link you to the English version of what our Dutch companies are have already done to prepare! 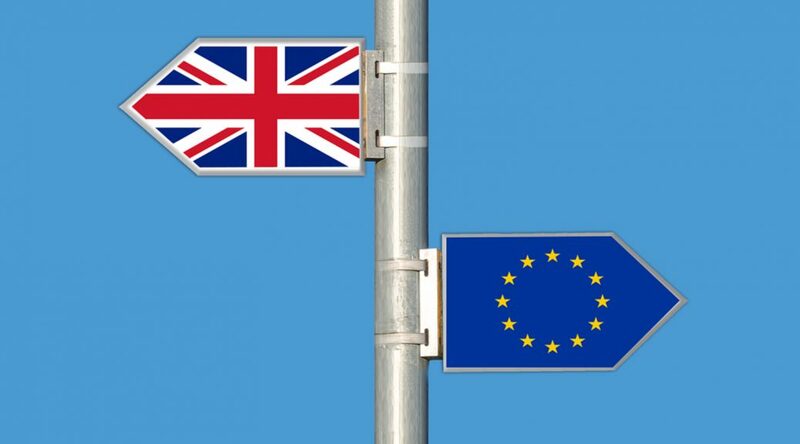 Many small and medium companies are trying to decide if and how Brexit is going to change their business – and what the impact of those changes will be. For UK companies, I think the biggest risks accrue to companies who have a good part of their supply chain in euros versus sterling (currency effect); who import fresh or short-dated items (issues with delays to import); whose workforce contains 10% of more EU nationals (currently residing in the UK but a crash out will probably not give them the same right to remain); and who export more than 10% of their product or services to the UK (export issues) or who supply an industry in the UK but whose supply chain itself is largerly outside of the UK, such as the automotive industry. If a transition period is agreed until December 2020, these risks are simply moved from 30 March 2019 to 1 January 2021. If you have a company in the UK which has very little product coming in from Europe for your use, you don’t export more than 1-5% of your goods into the EU, you have few if any EU personnel working in your company, the majority of your business isn’t supplying larger corporations with a big EU supply-chain risk, and especially – don’t bring in food or short-dated items from the EU – then I expect you will have little or no impact from Brexit other than reflecting any wider economic impact in the UK. If you are a small supplier to an industry with higher risk in Brexit due to longer supply chains into the EU (aerospace, automotive), then you need to try to diversify your client base as much as possible to mitigate. Equally, if your client base is financial or insurance based. If you have an EU-based business, and your supply chain is heavily UK-based, your customers/clients are heavily UK-based or you export short-dated or fresh product to the UK, you will definitely be effected. Your best bet right now is to look to diversify into more EU countries as quickly as possible to avoid any shock from either the UK crashing out on 30 March 2019 or after the transition period ends. In the event of „no deal“, you really do need to be working on that diversification of customers or suppliers as quickly as possible. Global or macro impacts: A banking crisis will have a ripple down effect, as would any shock to the overall economy by bigger companies having issues and going into insolvency leaving their small supplier ecosystem unpaid. I like this question – for a number of reasons, and being a consultant there must be at least three! It assumes that there IS a next thing. So many companies are so focussed on the current situation that they can’t lift their view to the horizon. It makes you actually move on to the next thing – forward motion is necessary, sitting still is the way to become obsolete. Perfecting the current situation is the enemy of progress. Many times, moving forward is what is needed, not a continual polishing of the existing processes. This is President Bartlet’s routine question after he wraps up the previous meeting. Yes, given the current world situation, I prefer to live in the fictional world of the West Wing for my politics. As a result, in my own life, I also have to ask “What’s Next” on a regular basis. 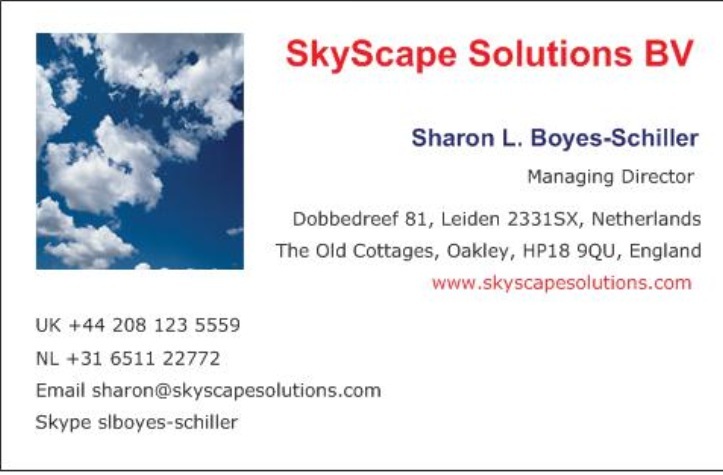 At 61, I am moving towards retirement at some point in the next four to five years, but I know that I can definitely help quite a few companies in that time! Thanks to Felicity Sullivan for the super photo posted on Medium along with her blog post of the same name. It is so true! One of my challenges is that with limited mobility, my preference is not to have to travel to clients continuously. I prefer to work from the dining room table on my iPad Pro or MacBook using 21st century technology to be in touch directly with the clients. Email can be useful. Skype has been around a long time but is still a very useful tool – but I have found GoToMeeting has become my best friend as the ability to share, brainstorm, drive another computer from a distance, all have made it much easier to seem like I am sitting next to someone when I am actually 2500 kilometres away. However, my latest interest has been creating screen capture videos with Camtasia – it allows me to work through something in advance, create a professional looking video with everything included, and then enable clients to view it; when teamed with a presentation and a telephone conversation, and if it is about software, a practical exercise – you complete that old chestnut of “tell them, tell them again, then tell them again.” But more importantly, you are providing more than one route to learning. In addition to communication from a distance, huge advances have been made in being able to work collaboratively and share documents – making keeping everyone up-to-date so much easier than 5, 10 or 20 years ago, and connecting people across continents. 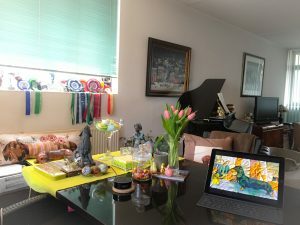 It is probably everyone’s dream to work from their garden – I haven’t quite managed that because background noise is an enemy to conference calls – however with today’s tools I am convinced it is possible to be just as effective from a distance in transforming a company as sitting next to them or across the table. Why the tulip field?? 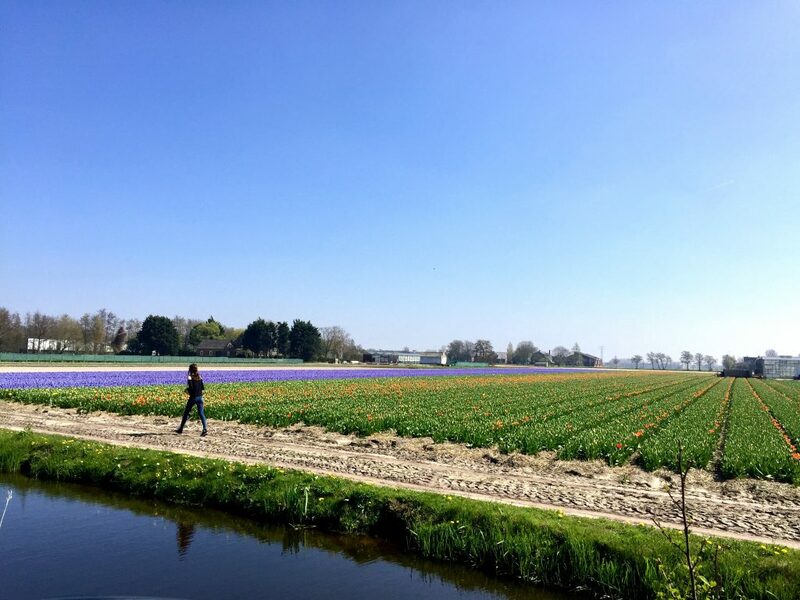 Not because it is Spring and they are truly beautiful – but because of the wonderful low Dutch sky. Because when you look out at the sky, the possibilities are limitless, they are endless. And that is what my life is about – and my consulting work is about – the multitude of options we all have every day. Even when it doesn’t seem like it. The reason I am posting “Never Give Up” is that precisely 5 years ago today I returned to Holland after six months in Houston. I had been taking care of my brother during his battle with stage 4 metastatic melanoma. He lost his fight with cancer at the age of 51 and I returned broken-hearted to Holland, bruised from the 24 x 7 needs of a terminal patient and the emotions that go with those final weeks and days when you know there is no more chance of improvement, that the options are very limited. When I landed, I had thought life would go back to what it had been before I had taken a pause to care for my brother. That wasn’t to be, and this date five years ago was the beginning of a completely different part of my life than what had gone before. I didn’t return to the position I had left, what I thought was a leave of absence was permanent; I had to give up my beloved flat in London; I found trying to find consulting work in my mid-50’s from Holland harder than it had been before, especially as I was now based outside the UK; and I wasn’t the same resilient person I had been. I was feeling the stress and strain of losing my brother and my financial security. I spent the next three years struggling to find contracting work, looked sideways for a while to find a senior role in Holland, lost three times at the final hurdle to Dutch men in their ’40s — and realised that because of the earlier choices I had made in regards to where I lived and working for myself — my life was going to keep being a challenge. I honestly came close to giving up, putting my company into insolvency, filing for personal bankruptcy and spiralling into the depths. Thankfully though, I have good friends who helped me find a few small pieces of consulting work, so I could pay that month’s mortgage, then the next and gradually I got back to full strength (after being beset by a broken hip for a bit) and right up until today, I just doggedly keep at it, looking for the next contract, completing it and then finding the next one. I pay the mortgage every month. Yes, I have racked up some debts along the way, but I keep at it, month after month. And I promised myself, I would never give up trying. I believe this story has a business parallel. I spend my time consulting often with companies beset by significant challenges. I am able to take the same approach – never give up – and help to transform them into better companies by recognising the options that they still have open to them. They may still struggle month to month, but they also keep going, just like I have. And looking for the next opportunity. 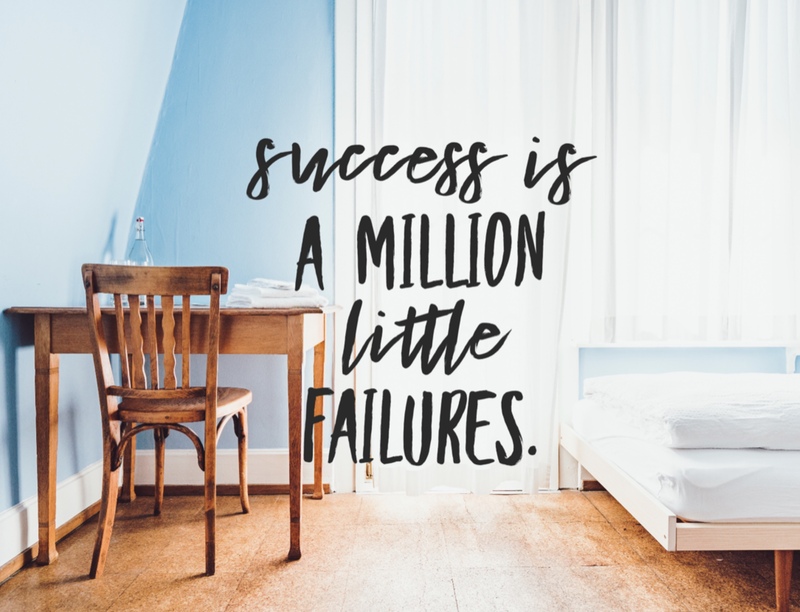 Persistence is the key to success. Currently working with a client on improving warehouse effectiveness and increasing the efficiency of a recent SAP Business One implementation. Feels great to be working in a warehousing and logistics environment after medical breaks over the last years. I am strongly reminded of the fact that process is more about conteXt than conteNt. The how and why is often far more important than the what and when of the AS-IS process, especially when looking to improve processes to create a more sensible workflow. Many things are done “because” they are done that way, not because there is a present critical rationale for it. When questioning about the “why” in three tiers – in other words, asking the “why” question three successive times – you often uncover the fact that the process is not really critical any longer and can either be changed to be more efficient, or in some cases no longer done at all, simply discarded from the processing leaving a more streamlined approach. Process design is the creative side of this – whereas process analysis is the critical thinking – both are needed to make an opptimum workflow, the TO-BE of the future. Good fun! Stay tuned to hear about our Warehouse Management System implementation. 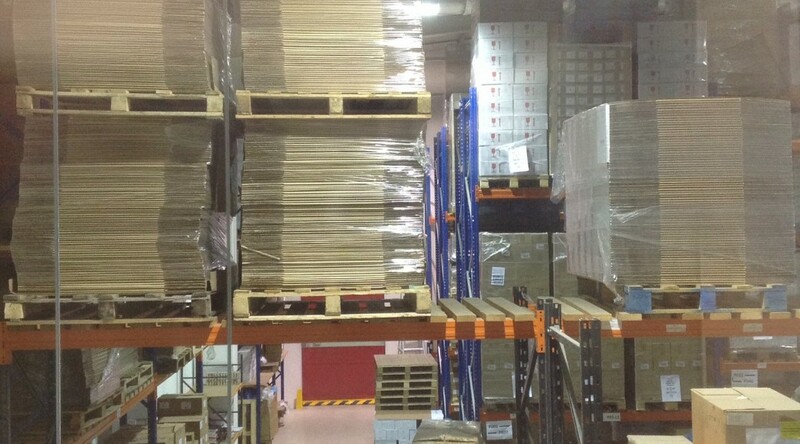 We are going to make this a totally rocking warehouse! Twenty years of IT design, bridging the gap between management, users and developments – working with various methods to capture needs, requirements and issues – led to the development of TEaMS in 2004, a workshop and process modeling approach to quickly and effectively get from As-Is to To-Be! TEaMS can be used for any sort of change required. It works by involving all the stakeholders and participants in a set of workshops designed to find and fulfill what is needed. TEaMS is Teams Evolving and Making Solutions. We look at change as an evolutionary process – you have to start where you are today. But you will get where you are going if you use this or a similar process to create the changes needed. The method we use allows us to envision the output required, define the future process, understand the inputs needed, select the right tools for the job and then – work with the team to get it done! We have a very large assortment of tools to use in this work. Unlike the man for whom all problems look like a nail because the only tool he has is a hammer, we can address many different challenges with our toolkit. Contact us for a discussion about how TEaMS can work for you! We don’t focus on “down-sizing”, we believe that our clients need to continue to service their existing client base and be positioned for future growth. We understand that you need to reduce your cost base, not your business! Our business growth coaching models help you to increase the top-line as well as the bottom-line, and improve profitability by reviewing in-depth your own tailored business processes and focussing on small achievable improvements in processes that are executed over and over again. Tiny changes executed thousands of times realise real savings. Most commonly-executed processes haven’t had a thorough review in the past six months, and a nuts-and-bolts walkthrough leading to detailed business modelling can identify the small changes that can mean large changes in your cost base. In this environment, there is currently an extraordinary focus on cost-cutting as the way to profitability and many companies take the easy approach of reducing staff first; though cost reduction must form an element of any profitability improvement plan, we work with our clients to minimise the impact of change on existing employees and clients. We look for a balance between growth and cost reduction which maximises the opportunities for increased productivity positioning the company to achieve more business and revenue, and reducing or eliminating activities costing the business lost revenue opportunity. Simply said, we try to cut costs, not people. We believe strongly that every employee wants to add to the success of her organisation and finding the best way to do that can often be found at the “coal-face”. Our TEaMS methodology lets your employees find their voice in helping your organisation to weather this economic climate and come out stronger, more resilient and with much better processes in place to service your current and future clients. So that you have the capacity to scale up and take on more business! We are niche boutique consultancy focussing on profitability improvement. We have been in the consulting business since 2004 and how we serve our customers has changed over the years – which is why we are completely redesigning our web interface. Moving away from static content and towards an interactive exchange with clients and thought influencers. Most of our current clients are SME companies in the healthcare , software, technology or logistics arena; they are looking to change their business, either through entering a new geography or adding a new product or possibly streamlining their operations. They may be looking for investors or looking for an exit or simply looking to grow their business. What do you need us to do for you?? Analysing the needs of a company and finding the right solution to meet those needs, then driving the implementation of that solution, measuring its success and ensuring it works as expected. 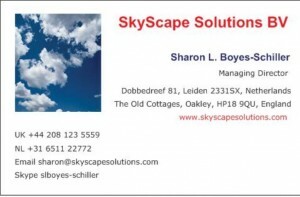 Working as a TEaM with the existing management and staff and enabling the best use of their knowledge mixed with the expertise brought from SkyScape to create the TO-BE vision. Using technology and keeping current with all the latest software, trends and devices enables the fullest range of choices for tools to use to make the business efficient and effective.